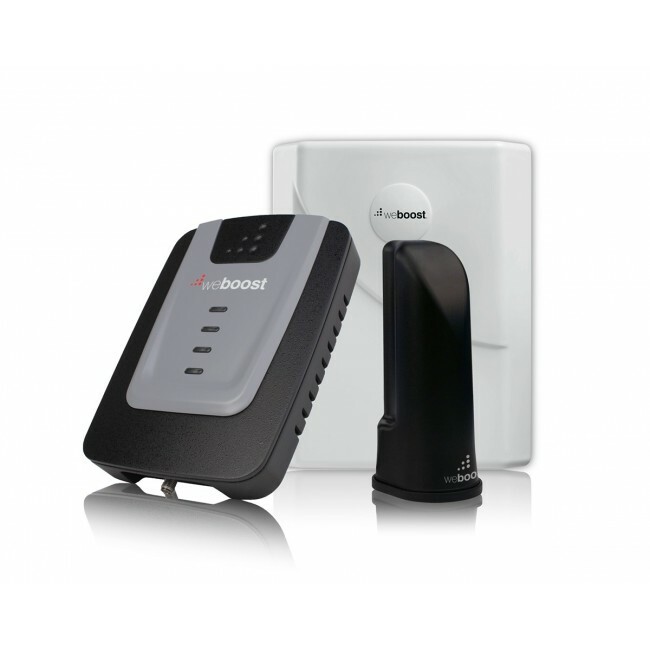 The weBoost RV 4G has been discontinued and replaced by the new and improved eqo 4G RV kit. 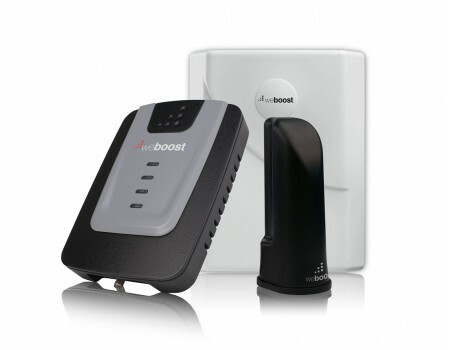 The weBoost 470201 RV 4G Signal Booster Kit is designed to boost cell signal in your RV or other large vehicle while the vehicle is stopped. 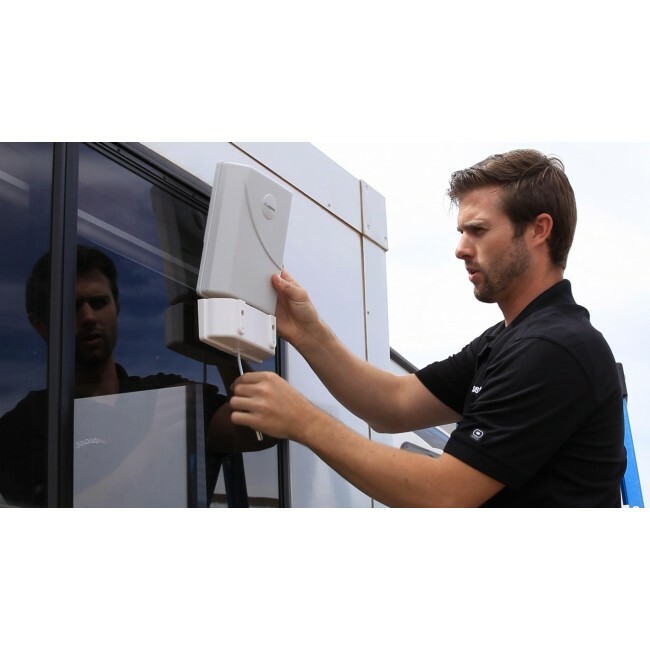 It uses an outside panel antenna that you suction cup to the outside of the RV once you've reached your destination, and connect it to a cable that runs inside the vehicle. The cable connects to the signal amplifier, and then another cable runs from the signal amplifier to a table top antenna, which broadcasts the boosted signal to the inside of the RV. Please note: You cannot use this signal booster while the vehicle is in motion. You must take down the outside panel antenna before driving, otherwise you risk losing it while in transit. 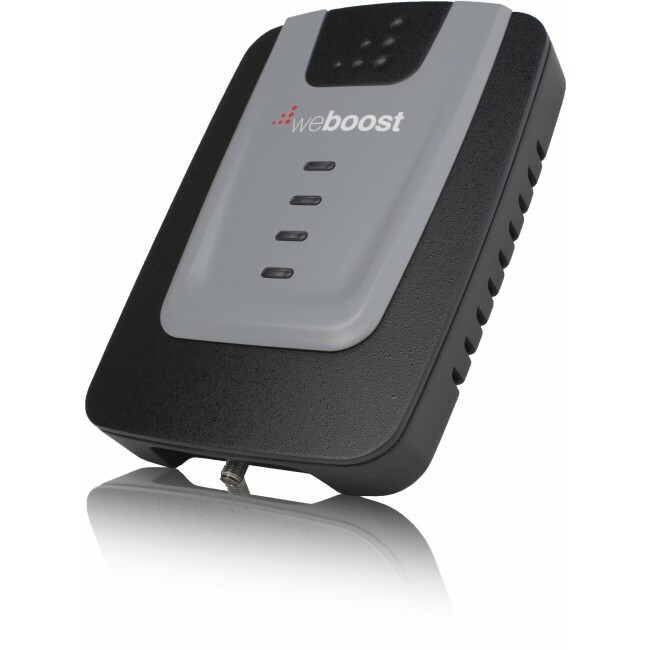 The weBoost 470201 RV 4G supports the 2G, 3G, and 4G LTE networks from virtually all carriers in the United States and Canada. For other locations, please consult the frequencies listed below to see if this product will work for you. 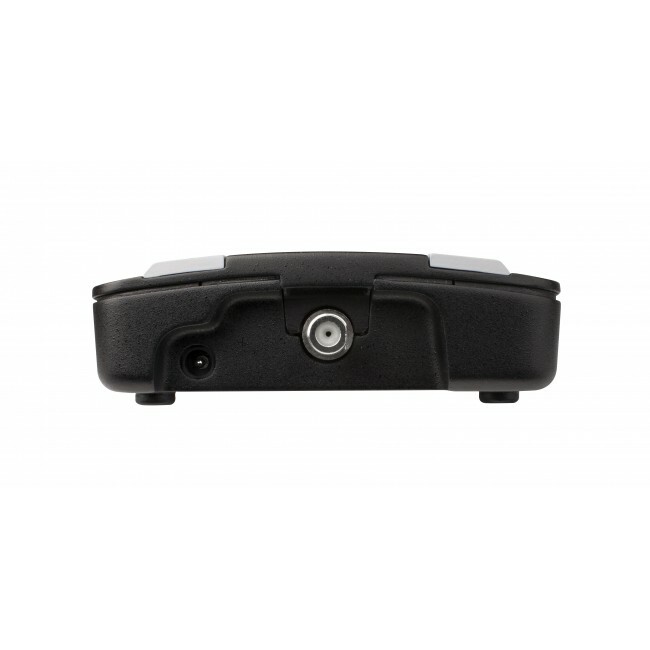 If you would like to upgrade the internal desktop antenna that comes with the weBoost RV 4G to a more powerful panel antenna for greater coverage, then you should purchase the weBoost Panel Inside Antenna and the 20ft RG58 Coax Cable. 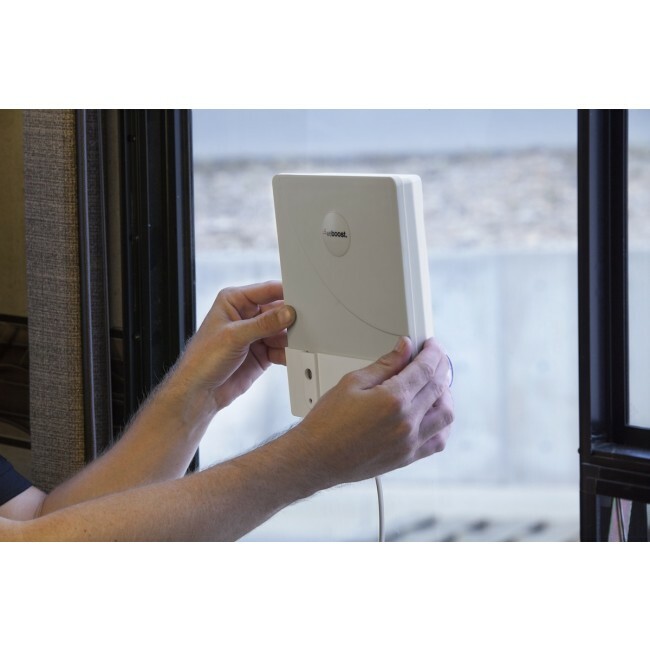 Simply connect the new cable to the inside antenna port and connect the other end to the new panel antenna, then locate the panel antenna either on the wall or ceiling of the RV for maximum coverage. First, take your phone and place it into field test mode. Then walk around the RV and pause on each side to get a signal reading (the lower the negative decibel number, the stronger the signal). Determine which side of the RV has the strongest signal, and suction cup the outside panel antenna to that side of the RV, facing outwards. You also have the option of suction cupping the panel antenna to the inside of a window in the RV and have it face outwards as well. 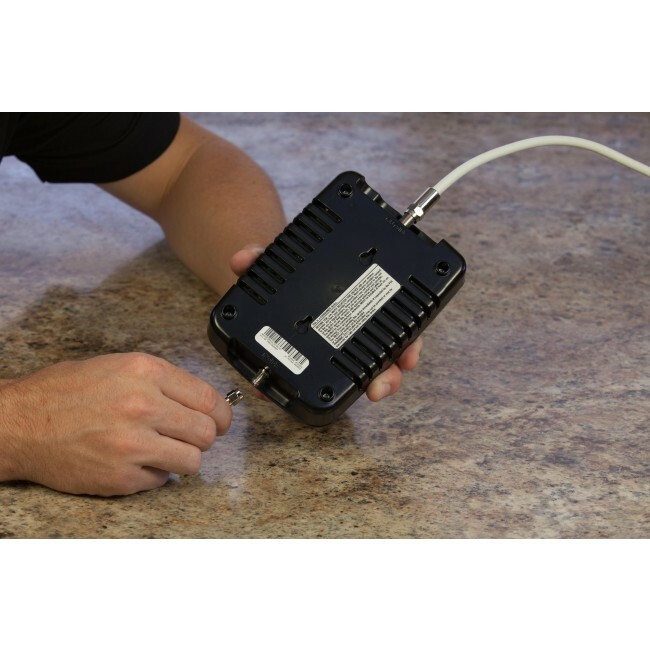 Run the included RG6 cable into the RV and connect it to the outside antenna port on the amplifier. 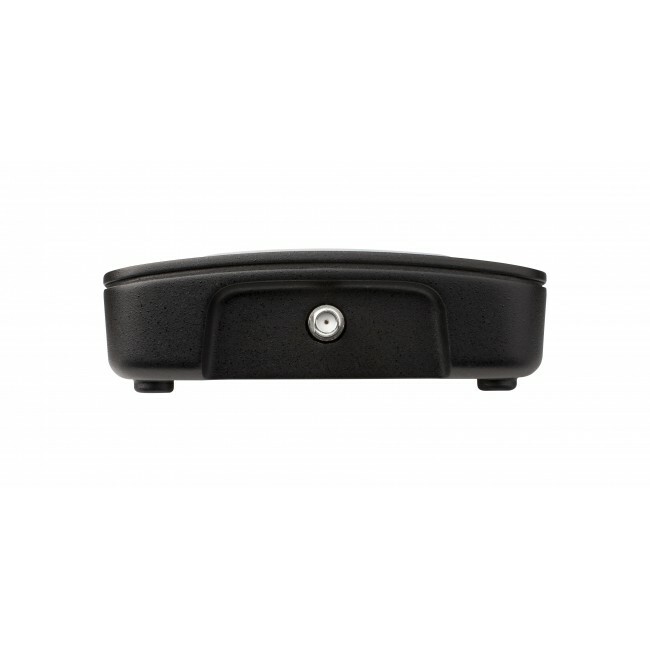 Connect the desktop inside antenna cable to the inside antenna port on the amplifier, and then locate the desktop antenna in the location where you need the best signal. * Will boost all 2G, 3G, and 4G LTE networks with the exception of Clearwire WiMAX. Contact us to verify that your carrier is supported.